The Slateford Green Estate, in Edinburgh is a car-free social housing estate in which wall insulation was made from recycled newspapers. Other features include photovoltaics, a recyclable aluminium roof, and a breathing wall membrane, layered upon an engineered timber structure. A commercial example for retrofitting includes the Radisson Blu Hotel, which has a dedicated green team. Monitoring and management have reduced electricity and gas consumption by about 20% over the last 5 years. Visitors will notice LED lights, residents have efficient showers and 6 EV charging points in the car park. 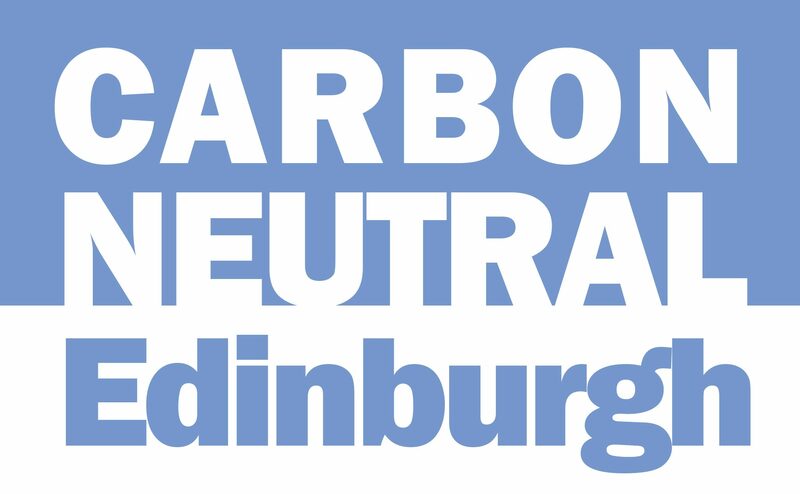 The Edinburgh Centre for Carbon Innovation (ECCI) building has 38% less CO2 emissions than if it were a new build. To achieve this, the building adopted several passive design approaches (solar gain; external microclimate; solar shading; day lighting; thermal comfort) as well as slimline double-glazing and high performance draught proofing. Wood fibre and rigid fibreboard insulation were installed in the floors, roofs, and walls. The connection with the university’s CHP district heating network was a key factor in decreasing energy consumption (56% of the heating demand) and the integration of solar PV panels with feed in tariffs (placed on the south facing pop ups of the roof) and air source heat exchanger are part of the concept. Business: If your office does not have double glazing, start a move to have it. The UK has millions of poorly insulated buildings. Improving them to stop heat escaping will reduce the energy we use to keep warm. A programme to retrofit all our buildings could reduce the average heat loss by 50-60%. In Zero Carbon Britain, this would reduce both the total energy for heating and the maximum demand on cold winter days. Source: http://zerocarbonbritain.com. The Pentland Outdoor Centre. The building is off the gas grid, solar power provides light and heat much of the year, the outer cladding is wood, there is a grey water toilet flush system. – Individual: When buying or renting a flat or house, prefer buildings with good Energy Performance certificate (EPC) rating (minimum band “C”). It has already been a legal obligation since 2008 to make EPCs available to new tenants and buyers! – Community: When renting a community space, prefer buildings with good Energy Performance certificate (EPC) rating (minimum band “C”). – Business: When buying or renting an office, prefer buildings with good Energy Performance certificate (EPC) rating (minimum band “C”). Highly efficient new buildings use just a tenth of the energy for heating compared with the average house today. The UK constructs a few hundred thousand new buildings each year. These should all be highly energy efficient so that we minimise heating demand in Zero Carbon Britain. Source: http://zerocarbonbritain.com. – Wood has always been popular; try to spot examples where it is real not a synthetic copy. Community: Does your local park need a wooden shelter? Business: Consider your choice of materials when refurbishing.